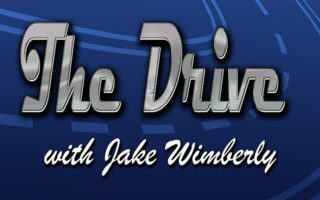 Jake Wimberly and Chris Brooks team up for another High School Football Friday show on The Drive. Chris kicks the show off with his preview of the games as requested by Jon Weiner until he remembers he doesn’t like sports and resorts to ranking candy. Jake joins from Oak Grove in order to save the show and deliver his predictions for tonight and for the weekend ahead. Jake and Chris continue to cover the games around the state for the night ahead and give the layout of who is in and who is out of the playoffs as of now. Jake gives his elite 8 picks and Chris is distracted by LSU’s shiny helmets for this weekend against Mississippi State. Jake and Chris also assess how warm Gus Malzahn’s seat will be if he loses this weekend against Ole Miss.